Kaththi | 15 Deleted scenes: We wonder why they were scrapped! 15 DELETED SCENES: WE WONDER WHY THEY WERE SCRAPPED! 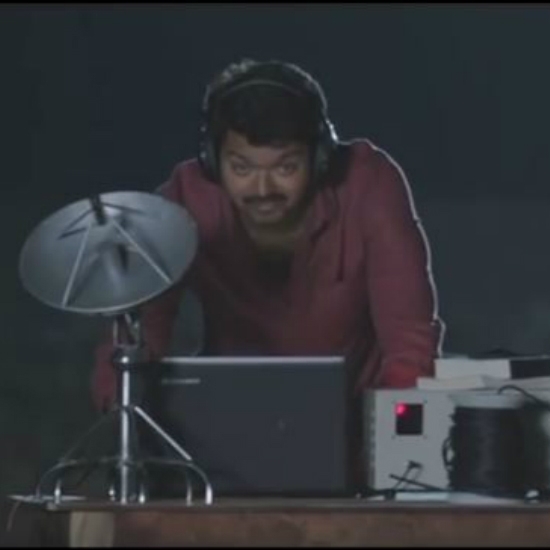 This portion of an important scene of Vijay’s Kaththi seems to have been left out. What could be the reason? When will Vijay - A.R.Murugadoss combo strike back again? Who is Kollywood's Prince of Kerala? Vijay’s Kuthu numbers are still ruling the North? Vijay and Ajith hit films go to the same family? SAC hints about 3rd Vijay - AR Murugadoss Project! This page hosts a weekly slideshow related to Tamil movies. Each slide includes a picture and some description about that picture. All the slides will have a recurring theme. People looking for actress stills, actress images, actor stills, actor images, movie stills, movie images, and other interesting topics, relevant issues in Tamil cinema will find this page useful. Kaththi | 15 Deleted scenes: We wonder why they were scrapped!.